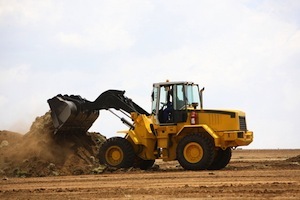 Front-End Loader Accidents | Nashville Injury Lawyers The Law Offices of John Day, P.C. A front-end loader or bucket loader is a tractor mounted with a bucket on the front. The bucket is used to move material. The front-end loader is a versatile piece of farm equipment as it can be equipped with many different attachments including forks, a clamshell bucket, bale grapplers, etc. the victim is run over by the front-end loader. At the Law Offices of John Day, our award-winning team of attorneys are experienced in these types of cases and we would like to help you and your family obtain the compensatory damages and, if appropriate, the punitive damages you deserve. To schedule an appointment, please contact us online or call us anytime at 615-742-4880 or toll-free at 866.812.8787.